See that? 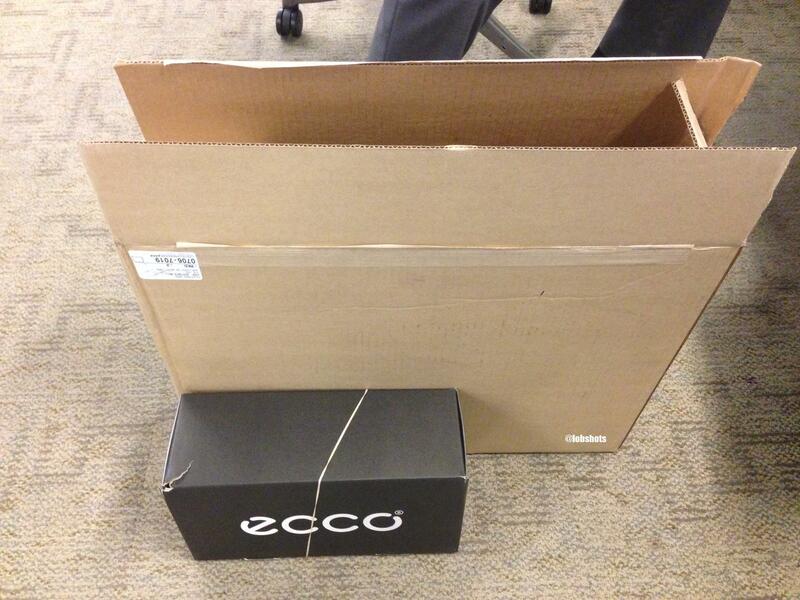 That’s a shoe box… next to the shoe box is the gigantic box the shoes were shipped in by Nordstrom. 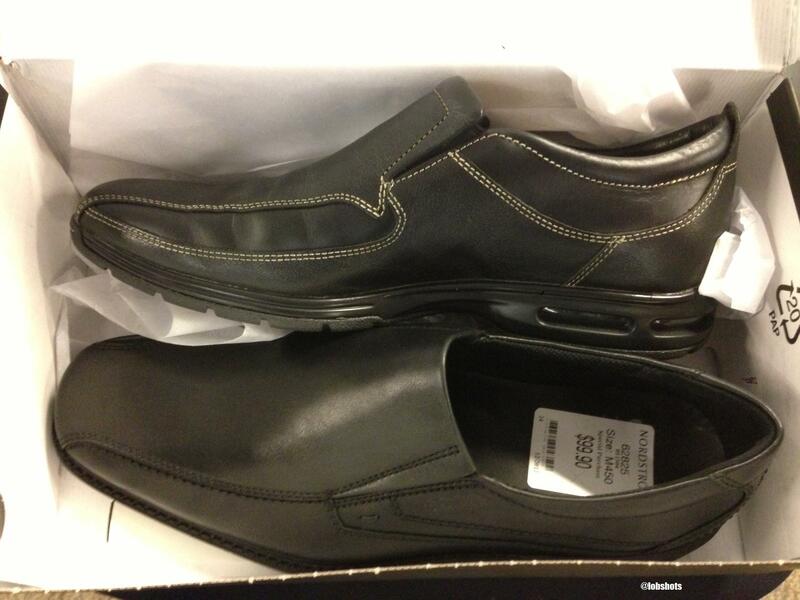 The Incredible Fulk, friend and lobster, ordered a pair of shoes from Nordstrom.com. Instead of just sending the shoe box in a box slightly larger than the shoes, they killed approximately 400 trees to send that box instead. This is where the story gets good. 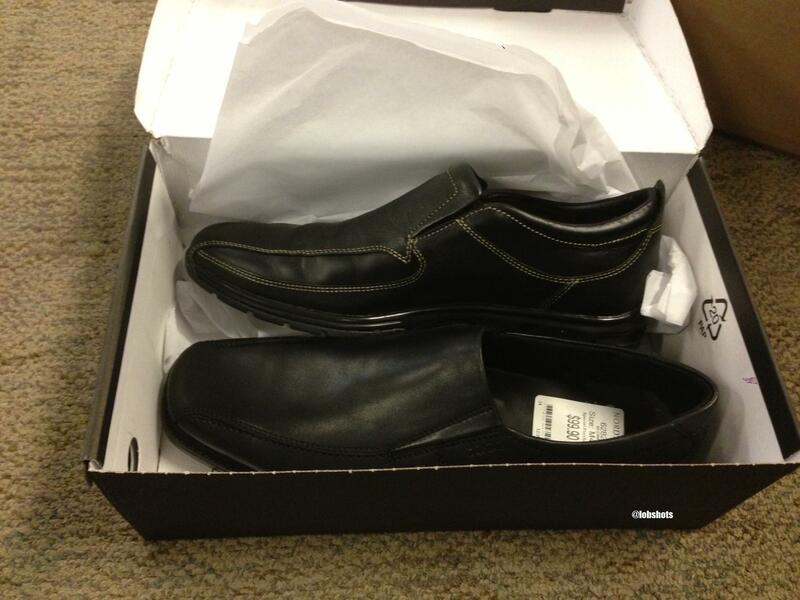 Inside the box were two black shoes… and that, my friends, is all they had in common. Two completely different shoes, two different brands, two different sizes, two different prices, two different everything. One with thick beige stitching and an air bubble in the heal, the other with neither. 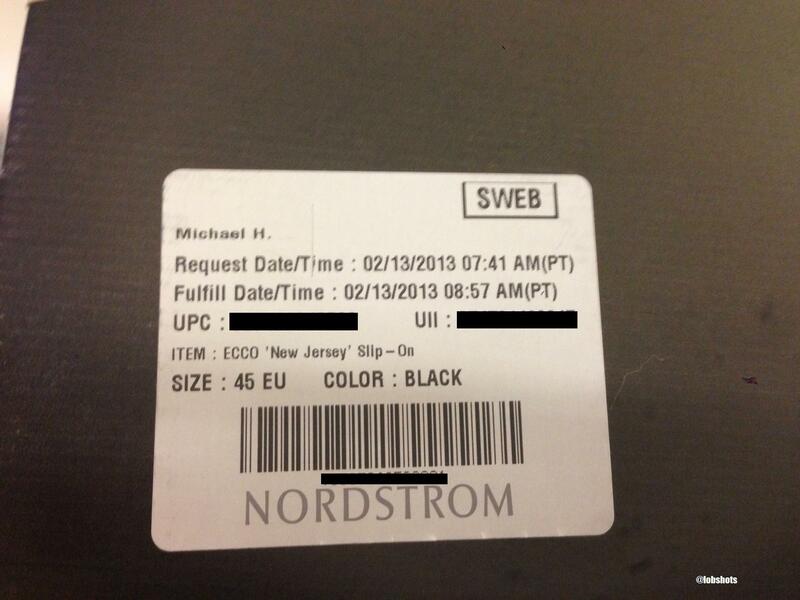 To Nordstrom’s credit, there was one left and one right shoe. In conclusion, I’d like to thank you, Michael H, inspector extraordinaire, for giving us a good laugh. Feel free to email me, LobshotsSports@gmail.com, if you’d like to send Fulk and me free pairs of matching shoes. If so, I’ll write you a redemption post. This entry was posted in Fashion and tagged Nordstrom. Bookmark the permalink.